With a day off in Barcelona, Spain, the guys from Simple Plan took some scooters around town to do some sightseeing. Watch the highlight clip via YouTube below. Simple Plan are out with the video to their new singe ‘Your Love Is A Lie’, from the Montreal, Quebec pop rock band’s self-titled third album, out now on Atlantic Records. Watch it below. Simple Plan’s Pierre Bouvier and Seb Lefebvre walked through the crowd to say hi at the Nosturi concert in Helsinki, Finland on Thursday (March 27), going through a seeming unending series of hallways and stairs packed with fans eager to hug Pierre, with Seb apparently behind the camera. Watch footage via YouTube below. Simple Plan woke up early to perform ‘When I’m Gone’ on the ‘Sunrise’ morning show in Sydney, Australia. Check out some behind the scenes and performance footage via YouTube below. Simple Plan checked in with a video clip on the set of their new video ‘Your Love Is A Lie’. The band was on a rooftop in Los Angeles, promising that nobody is dying in the vid, and a preview is coming soon. Watch the clip via YouTube below. Simple Plan’s Seb, Chuck and Jeff videotaped themselves on the tour bus after the New York show on their way to Philadelphia. They talked about recognizing familiar faces at the New York show and thanked fans for buying the recently released album. Watch the clip via YouTube below. Collective Soul, who perform on ‘The Late Late Show with Craig Ferguson’ on Tuesday. Louis XIV, who perform on ‘Last Call with Carson Daly’ on Wednesday. 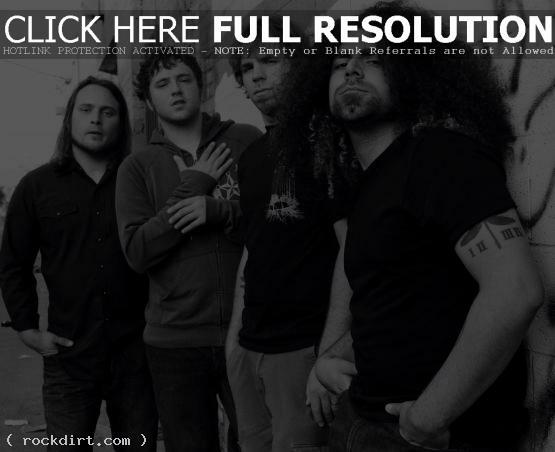 Coheed and Cambria, who perform on ‘Jimmy Kimmel Live’ on Wednesday. Grizzly Bear, who perform on ‘The Late Late Show’ on Thursday. Simple Plan, who perform on ‘Jimmy Kimmel Live’ on Thursday. Seether, who perform on ‘Last Call’ on Friday. All Time Low, who perform on ‘Jimmy Kimmel Live’ on Friday. Vampire Weekend, who are musical guests on ‘Saturday Night Live’. Simple Plan checked in on their YouTube channel after canceling their show in Chicago. Pierre Bouvier explained the illness that prompted the change in schedule, which forced the group to cut the set short in Detroit. Pierre apologized but promised to come back to do a show later on. Watch the clip below. The latest YouTube clip from Simple Plan features the band heading to Toronto to do MuchMusic’s ‘Live@Much’, discussing the concept for their new music video. Then Pierre Bouvier talked a bit before they hit the stage. Watch the clip via YouTube below. Footage of Simple Plan’s Sébastien Lefebvre roaming around the Atlantic Records offices in New York City ahead of a show that night has been posted on the band’s YouTube channel. Seb talked about what’s on the schedule, checking in with bandmates Chuck Comeau – who was checking facebook and signing CDs, and Jeff Stinco, who was busy on the phone. Watch it below the fold.